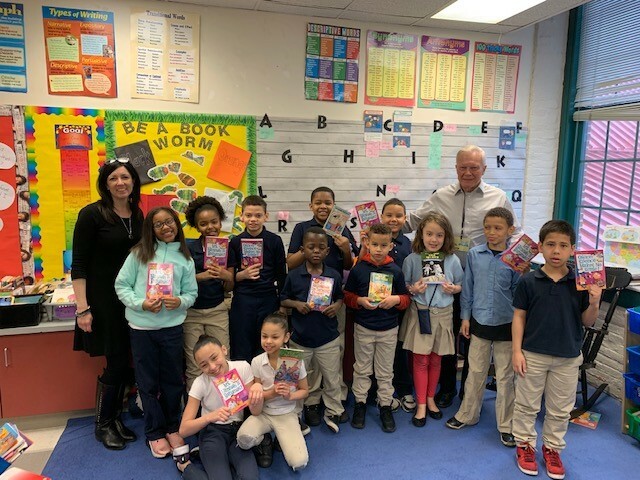 In March, the Lancaster Sunrise Rotary Club donated books to Mrs. Corrigan's third grade class at Carter and MacRae Elementary School in Lancaster. The club has been tutoring, mentoring, and donating books to this school for over eleven years. The students are always excited to receive these books that were signed with words of encouragement by the club's weekly speakers. Ten members of the Lancaster Sunrise Club tutor at the school on a regular basis and host an annual Christmas party for the class.